If you’ve ever found yourself doubting the existence of kind and generous people, you may want to spend a day with our begging Sisters. They spend each day traveling the Chicagoland area asking for donations of money, food, and supplies for our Residents. Our food and supply costs for the home are very low because of the outpouring of gifts they receive from business owners and hundreds of individuals who give to special collections at area parishes. Begging for contributions has been a tradition since Saint Jeanne Jugan founded the Little Sisters of the Poor in 1839, and collecting continues to be at the heart of our mission today. Like Saint Jeanne Jugan, we believe that if we are faithful to our mission of caring for the poor, God will provide. Our benefactors are the instruments through which this is possible and we remember them everyday in our prayers. 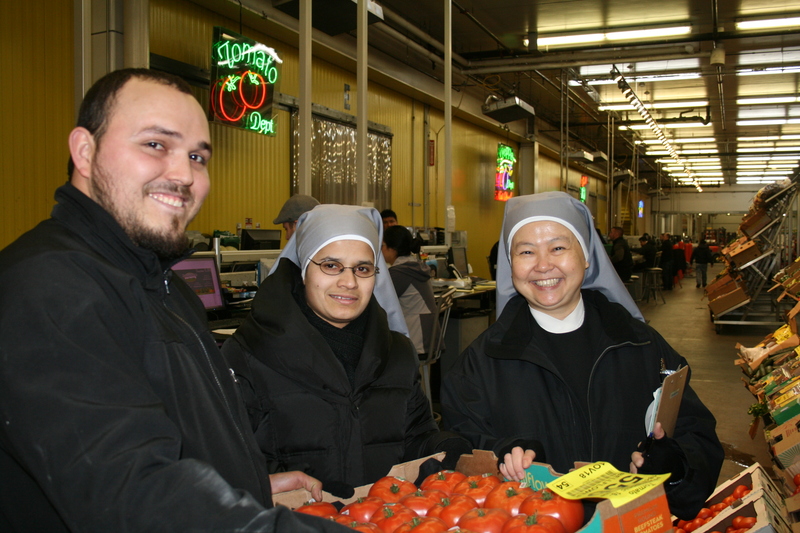 Please contact Sr. Maria Guadalupe at (773) 935-9600 or clchicago@littlesistersofthepoor.org if you are able to help. 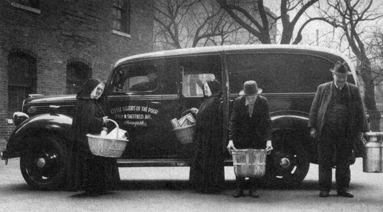 Collecting for the poor has been a tradition with the Little Sisters since the days of their foundress.